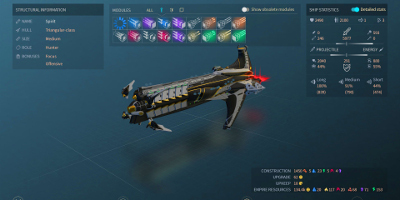 Endless Space 2 is a turn-based, 4X space-strategy game by Amplitude Studios that launches players into the space colonization age of different civilizations within the Endless universe. This galaxy is ancient, and its first intelligent life was the civilization we call the Endless. Long before our eyes gazed upon the stars they flew between them, though all that remains of this people is what we call Dust. A substance found scattered around the galaxy that once gave powers to admirals and galactic governors. The galaxy will belong to the civilization that will control Dust and uncover its secrets… but were the Endless alone in the galaxy? What is the true origin of Dust? Are the rumors around a mysterious organization called the Academy real? 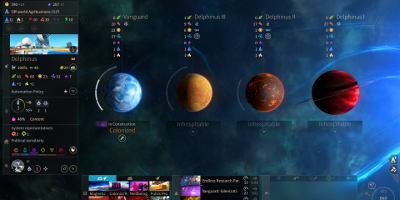 YOUR VISION: As the leader of your civilization will you control the entire galaxy through diplomacy and alliances, influence other empires with your glory, overwhelm your opponents with the most advanced technologies, build the greatest stellar empire, or annihilate your enemies with massive armadas? THEIR FUTURE: Take the role of the emperor and watch your population react to your decisions as well as their own circumstances. Change your government, support a political party, and vote for powerful laws in the Galactic Senate. Grow your own civilization by assimilating new peoples and uniting them behind your undisputed leadership. EXPLORE the Endless universe: With randomly generated galaxies, star systems and curiosities to explore, different planet types, luxuries and strategic resources to exploit, the mysteries of the Dust and new lifeforms to master, and a host of strange scientific phenomena to deal with, the player will dive into a brand new reality. EXPAND beyond the unknown: Search for the mysterious Academy and uncover its secrets, then train heroes to become fleet admirals, system governors or influential senators. Develop your planets into feared stellar fortresses or fabulous utopias full of wonders. every opportunity: Collect Dust, luxuries and strategic resources that are tradable on the marketplace, discover amazing new technologies, and keep one step ahead of the competition through trade corporations and subtle diplomacy. 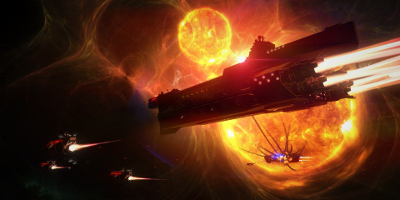 EXTERMINATE all resistance: Design your ships, build your fleets and carefully choose your battle plans to overcome up to seven opponents in online confrontations. Watch epic real-time space battles unfold, and improve your strategy for your next confrontations. EXPERIENCE a galactic saga: Discover each civilization’s story, from the Sophon AI gone berserk to the traditional Lumeris families facing an ambitious young upstart. Learn more about the origins of the lethal Endless creation called the Cravers. Find out more about the Heretic, a mysterious and powerful character hunted by the Vodyani. AMPLIFIED REALITY: See our new way of displaying information. 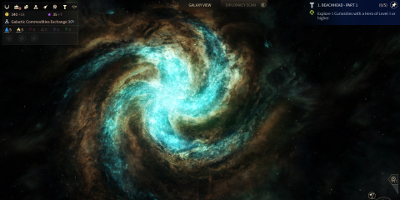 Anywhere in the galaxy, activate this special view to scan detailed information and bring a new level of understanding. GAMES2GETHER: Follow the development of the game and get to know the talents behind the scene. Make your voice count by giving feedback on the Early Access, proposing ideas, and voting for art and gameplay elements. Participate in contests and design content that will be created by the studio and added to the game.